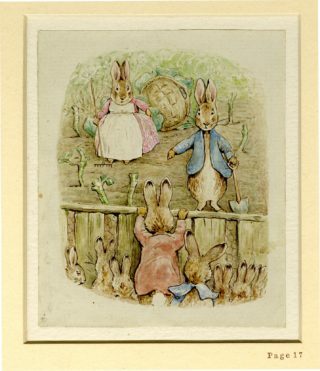 Acclaimed children’s author and illustrator Helen Beatrix Potter was born on the 28 July 1866 in Kensington, West London, but spent many of her summers in Hertfordshire. 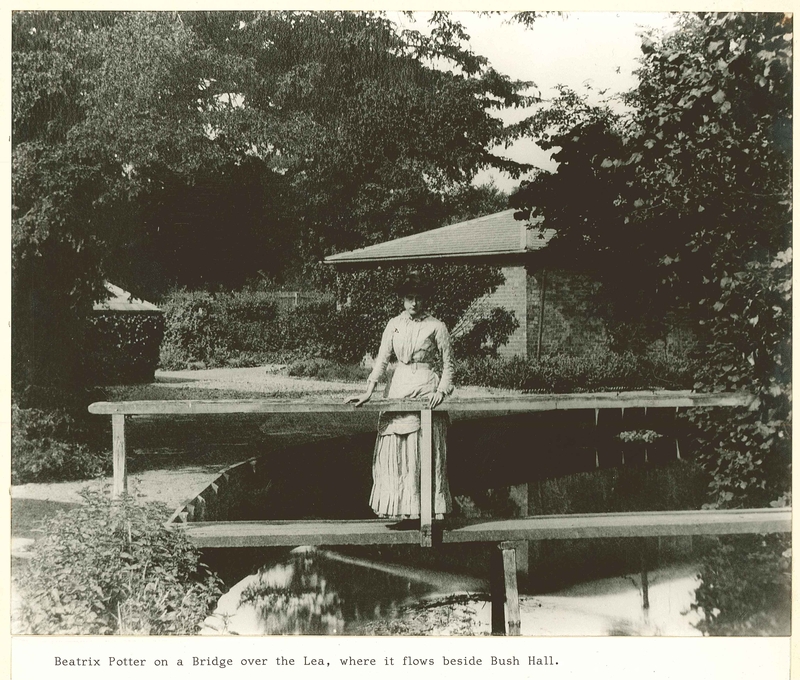 Beatrix Potter in Hertfordshire focuses on the influence this county played on her later work. Beatrix’s grandparents lived at Camfield Place in Essendon. Beatrix described Camfield as the “place I love best in the world”; some of the happiest periods of her childhood were spent there. Camfield inspired many of her books. Mr McGregor’s garden was based on one of the estate cottage gardens, and Nanny Netticoat in Cecily Parsley’s Nursery Rhymes (1922) was based on her nanny at Camfield. For longer stays in Hertfordshire, Beatrix’s father, Rupert, rented houses close by. In the summer of 1883, he rented Woodfield in Essendon. During her stay there Beatrix sketched local wildlife and fished in local ponds. In 1884 her father rented Bush Hall, close to Mill Green Mill & Museum, for 25 guineas a month from Henry Kendall. She thought the local area was picturesque and praised its “select society” and close proximity to London. Beatrix learned to drive a pony carriage, fished trout in the Rover Lea, and produced detailed sketches of the Hall and paper mill, which then existed close by. 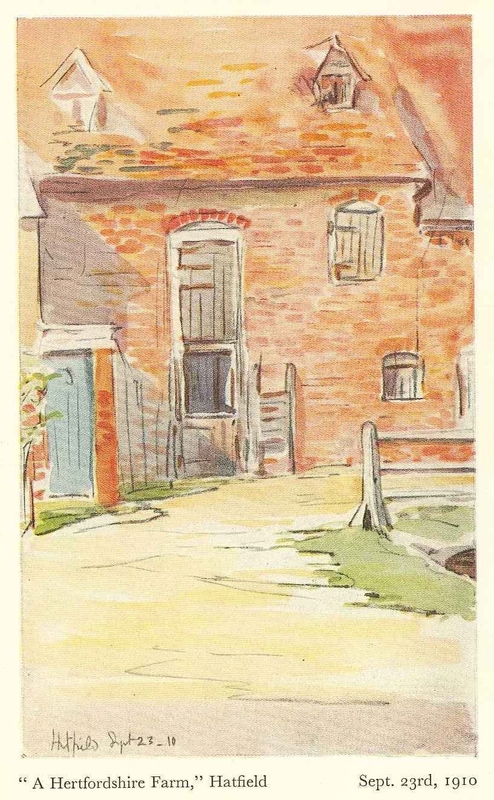 In 1891, the Potters rented Bedwell Lodge in Essendon, which inspired Beatrix’s later drawings, The Mice in their Storehouse and The Cat and the Fiddle. When Beatrix’s grandmother died in September, Camfield was put up for sale and later became the home of Dame Barbara Cartland. Beatrix made one last trip to Hertfordshire, as she sketched the exterior of Mill Green Mill on 23rd September 1910. This is the earliest known picture of the mill and the only one to show the mill whilst it was still industrially producing flour. The original drawing, now held by the V&A will feature in the exhibition. The exhibition will feature original drawings Beatrix made of the local area between the 1880s and 1910 from the V&A, as well as original illustrations from The Tale of the Flopsy Bunnies (1909) on loan from the British Museum. These loans have been made possible with support from the British Museum, the V&A,Renaissance East and SHARE, a nationally funded expertise / training resource for museums, as part of the Something Borrowed Project, an initiative designed to improve access to national museum collections, by loaning them to smaller museums. This page was added on 25/06/2010.